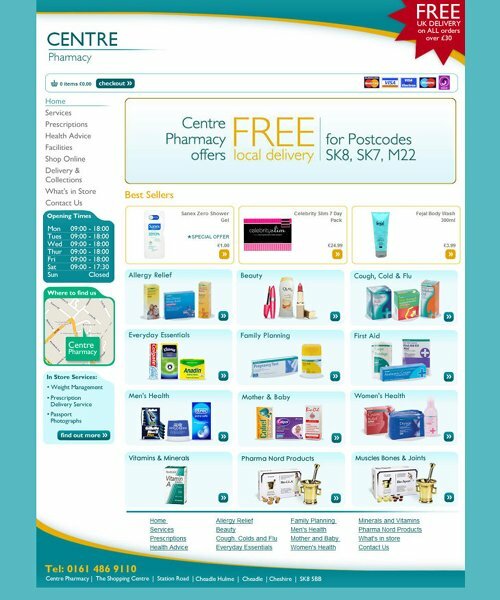 Centre Pharmacy in Cheadle Hulme launches it's website to promote a wide range of in store Services for the local and surrounding communities. The website promotes 15 in store services from Emergency Contraception to Travel Medicine and Surgical fittings. Developed to raise awareness within Cheadle Hulme and help drive fresh footfall. The site also includes an extensive ecommerce offer from Baby Products, Vitamins and Numark Branded Goods.